Is It Safe To Travel By Bus During Pregnancy? Pregnancy involves exercising a lot of care and precautions. Still, it does not mean that you cannot carry on with your normal lifestyle! Traveling is an inevitable part of our lives today, be it travel to work or even a travel to visit your doctor or traveling by bus for a vacation. 1st and 3rd trimesters of your pregnancy demands extra care and precautions and is one time when you may not find travelling very comfortable. There are also a few risks involved with bus travel during pregnancy that can make bus journeys uncomfortable to some expectant moms. 1. If you are traveling a long distance or get stuck in a traffic jam, you cannot get up and move around often; this can put you at a risk for blood clots and varicose veins. 2. In case you are traveling on a vacation by bus, sleeping while sitting upright can be really uncomfortable. In fact, it can also lead to swelling in your legs. 3. The biggest worry in bus travel during pregnancy is the need to use the washroom, especially if you are traveling in an air conditioned bus. 4. During travel one gets thirsty more often, so you are likely to be drinking more water which can leave you wanting to run to the bathroom at the earliest. 5. Lack of seat belt can also put you at risk of getting hurt, in case of sudden and hard braking or potholes on the road. Though people will tell you that you cannot travel by bus during pregnancy, a number of women feel safer to travel by bus than car. So, though travelling in bus during pregnancy has a few minor shortcomings, there are ways you can make your journey comfortable and relaxed. 1. Be Transparent: Traveling particularly during office hours can be quite a pain with buses being crowded and every one seeming to be in a hurry. Always inform the bus conductor or your co passengers that you are pregnant so that you can save yourself from being pushing around. Also, if you are traveling long journey out of station, informing the bus service about your pregnancy can help them facilitate a good seat and extra support to make your journey less tiring and risky. 2. Keep ‘Em Handy: Pack your food and water in a handy manner when planning a long journey by bus. Avoid carrying oily items like chips that could aggravate nausea and stick to a lot of citrus fruits and drinks. Eat cautiously and at regular intervals as you will already feel full due to lack of activity. Also, stick to bottled water and avoid drinking water from unknown sources. Keep bags handy for motion sickness as buses will generally not stop at random locations. 3. Seating Choices: If you can request and get a seating option, it is ideal to take an aisle seat so that you can move out of your seat without crawling over with too much effort. Keep neck and back pillow handy particularly in case of overnight bus travels to avoid straining your body. Avoid front and back rows as they are more risky in case of a crash. If you get a chance and find 2 seats vacant do sit with your legs up to stretch your body. 4. Use The Stopovers: Every time the bus stops for breaks, take the opportunity to use restrooms and walk or stretch a little. Sitting for too long can make your body stiff and stretching at breaks can help you relieve the stiffness. 5. Travel With A Buddy: An important tip that goes without saying is try and travel long distance with someone and avoid traveling alone. Keep your partner’s and doctor’s number on speed dial so that you can contact them immediately in case of any emergency. If you do decide to travel alone by bus, don’t get tensed; take all necessary precautions and travel relaxed with some light soothing music for you to cherish. Basic care and precautions can help you travel safely during pregnancy even in buses. 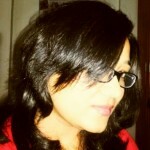 Do share your comments on our post is it safe to travel by bus during pregnancy. 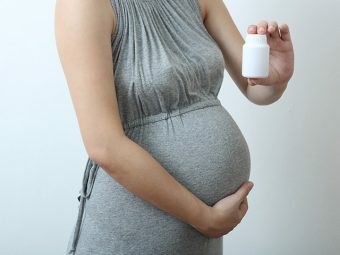 How Safe Is It To Travel During Pregnancy? Is It Safe To Travel By Car During Pregnancy? 6th Month Pregnancy Diet - Which Foods To Eat And avoid? 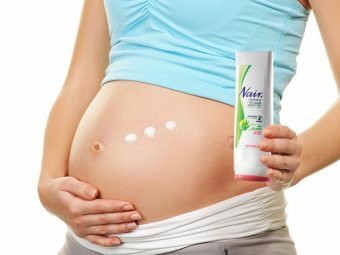 Is It Safe To Use Depilatory Cream Nair During Pregnancy? Is It Safe To Move Furniture During Pregnancy? Is Kickboxing Safe During Pregnancy?